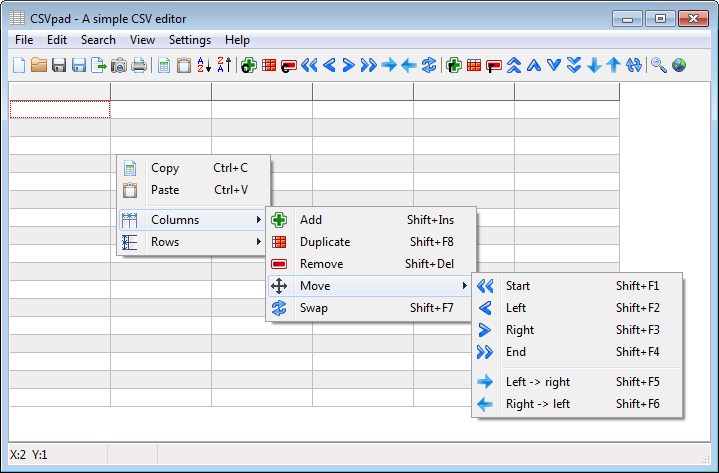 CSVpad is a handy basic spreadsheet editor for the CSV (Comma-separated values) format. The program includes hotkeys, column and row management, export to other spreadsheet formats, and more. How to extract: Download the ZIP package and extract to a folder of your choice. Launch CSVpad.exe. I gave CSVed a try as well, and it feels even more sluggish then CSVFileView, maybe it's just the files I'm using, there about 200-300KB's in size with a few 700~KB's ones. Any idea how to use commandline to open files with csvpad? 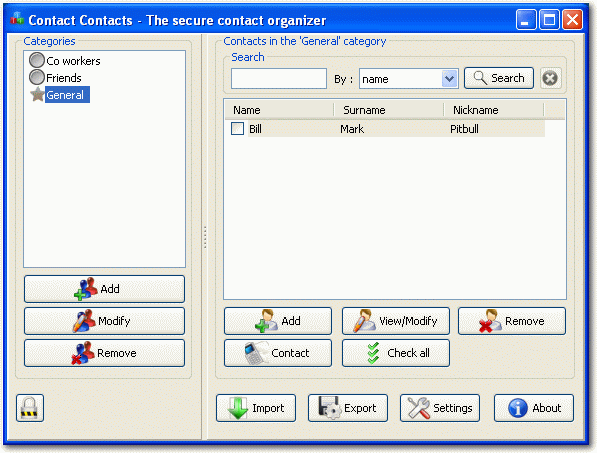 Contact Contacts is a secure organizer that supports sending bulk emails and SMS. You can easily search, create categories (groups of contacts), and import/export contacts. All data including program-sensitive settings are encrypted. How to extract: Download the ZIP package (or the self-extractic EXE) to a folder of your choice. Launch Contact Contacts.exe. Added Unicode support for email "subject"
Added Unicode support for email "from"
Notice : Contact Contact 1.0 and 1.1 where not vulnerable at the Heartbleed bug. 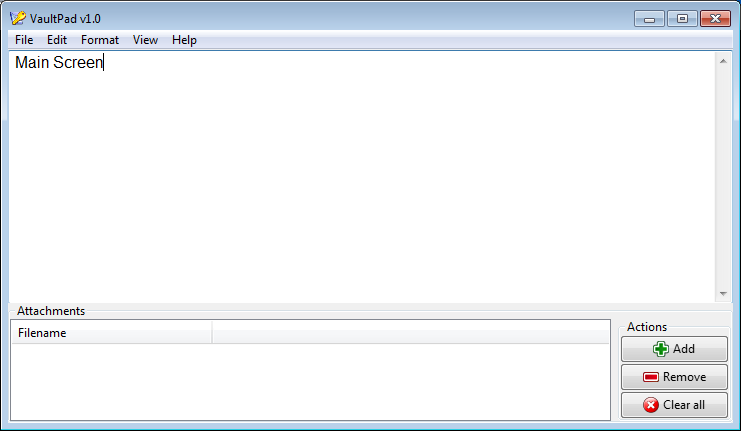 VaultPad is a simple text and file encryptor. The program can take text, attachments, or both to create an easy-to-share XML file for storage or sharing. The program uses AES cipher (symmetric-key pairs) to encrypt local messages and RSA/AES cipher (public/private key pairs) for shared messages. A SHA-512 cipher is used to hash passwords, so they aren't stored in the application itself. A MD5 algorithm is used to check embedded files for corruption. VaultPad will handle third party public keys to be able to encrypt/decrypt their files directly. How to extract: Download the ZIP package and extract to a folder of your choice. Launch VaultPad.exe.